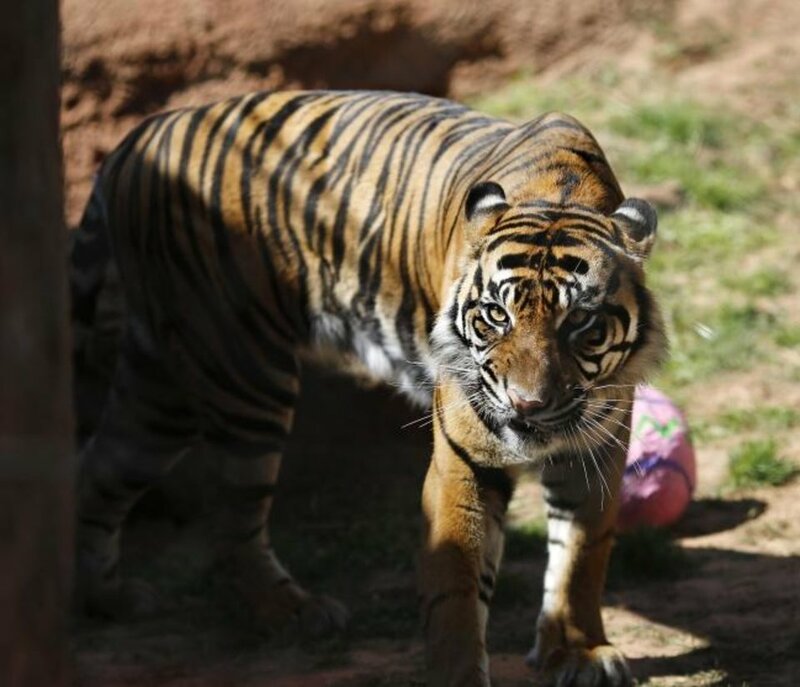 Lions, tigers and elephants were among the animals treated to a special Easter-theme animal enrichment event at the Oklahoma City Zoo on Friday. Zoo staff created special treats for the animals, which encourage natural behaviors while providing enriching experiences for the animals. 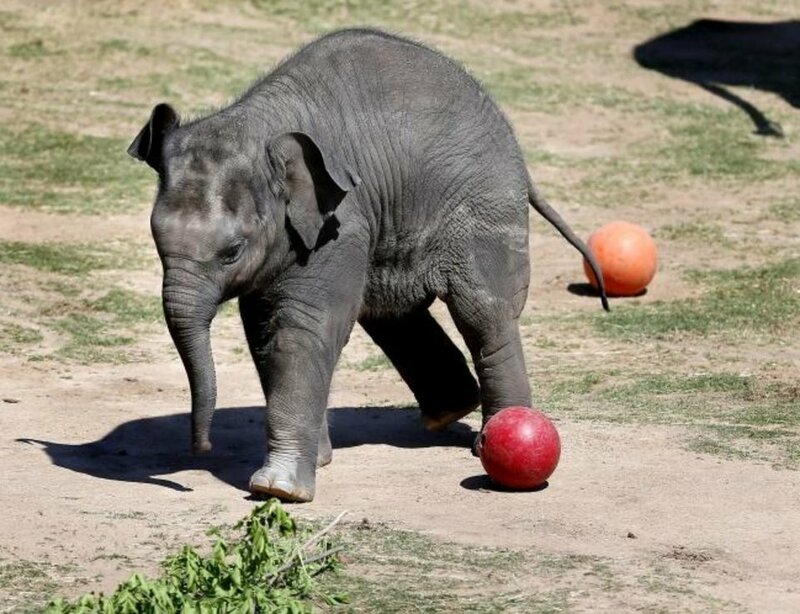 For more information on events happening at the zoo, go online to www.okczoo.org/events. 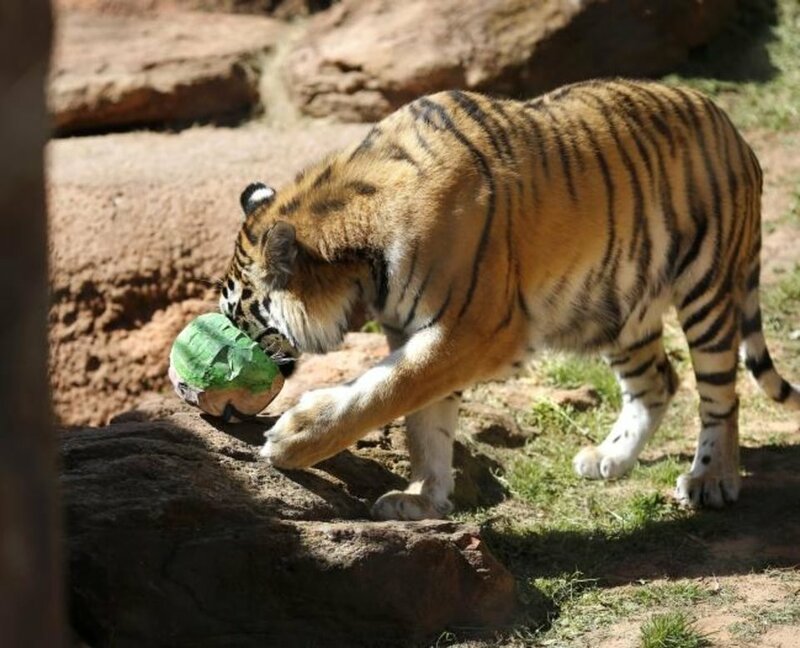 A tiger presses its face and mouth into a colorful papier-mache egg in search of savory treats. 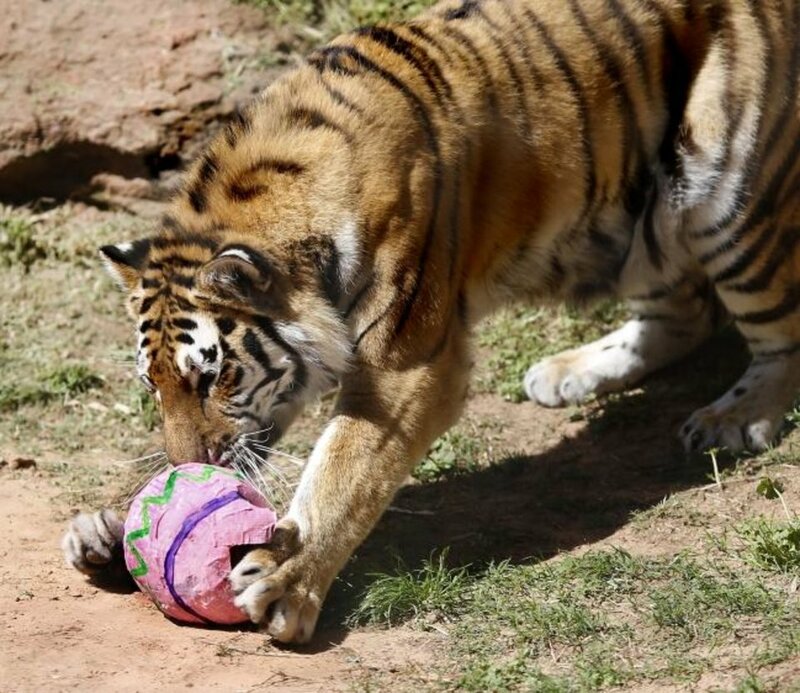 A playful tiger pounces on top and over this papier-mache egg filled with savory treats at the Oklahoma City Zoo on Friday. Once the animal determined the egg wasn't a threat, it turned around and snatched the egg in its jaws. 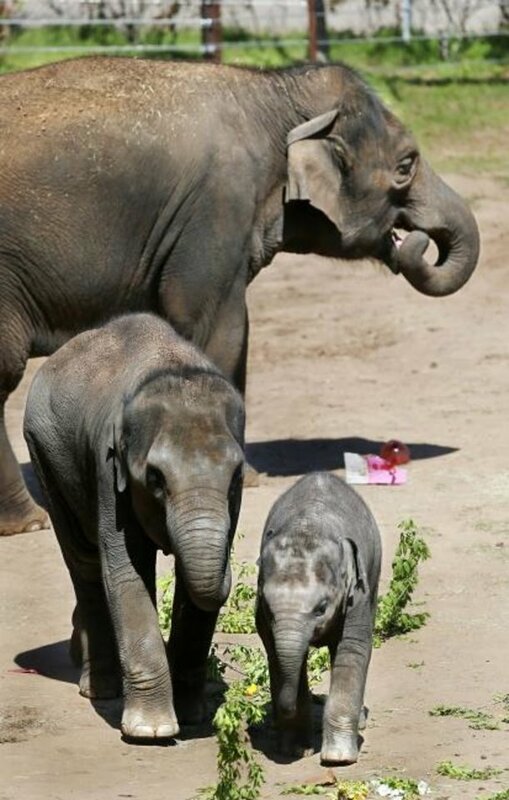 Asha and her calves, Achara, left, and the baby, Kairavi, enjoy the extra plant food. All are female, Asian elephants. 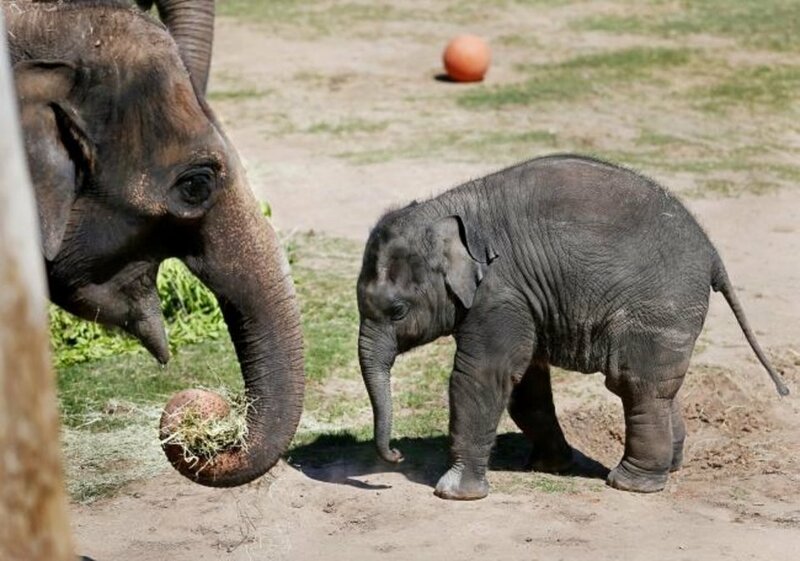 Asha and her youngest calf, Kairavi, enjoy the extra plant food. joining the mother and baby was Kairava's older sister, Achara. Kairavi joins her mother and older sister in some playtime. 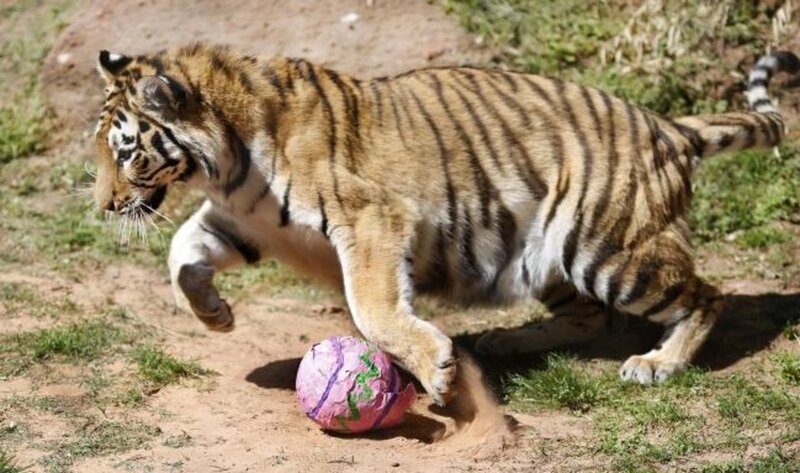 A tiger sniffs a papier-mache egg before breaking into it to get at the contents.